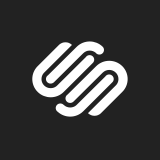 Squarespace is seeking a highly organized, personable, & detail oriented Executive Assistant to support our Chief Creative Officer. Running an efficient operation is critical to Squarespaces success. In this role, you will enable one of our most senior leaders to scale their respective parts of the business by streamlining their day-to-day & ensuring maximum efficiency. You are a systems thinker who thrives in a fast-paced, ever-changing environment. You build rapport quickly & are able to establish productive, trust-based relationships with a wide variety of individuals across diverse organizational groups. You are intuitively hospitable & your career is predicated on your proven track record of promptness, accuracy, & reliability. Act as the primary liaison between the leaders you support & internal management teams, external contacts, etc. Squarespace makes beautiful products to help people with creative ideas succeed. By blending elegant design & sophisticated engineering, we empower millions of people from individuals & local artists to entrepreneurs shaping the worlds most iconic businesses to share their stories with the world. Squarespaces team of more than 900 is headquartered in downtown New York City, with offices in Dublin & Portland. For more information, visit www.squarespace.com/about.